08. 04. / 20.15 uhr / Wing it! 1818 Caspar David Friedrich drew the Greifswald marketplace. The watercolor is currently presented in the Pomeranian State Museum. Frederick returns in his image, a time frame of his presence. As then, marketplaces are still a reflection of our society. The marketplace is a social space with people from diverse backgrounds, a place of common ground, both a place of exclusion, the differences, the discussion, confrontation and negotiation. It will be met: crisscross, right and left diagonal and straight out. In August 2012 we offered a German-Polish Stage Performance Together with the Polish Teatr Brama, we developed a five-day workshop a spectacle. Since the market was not locked as a stage, there was a combination of fiction and reality, drama intervention and observation. Our goal was to create a cross-generational and cross-understanding. By actively developing a multifaceted theater action project participants and spectators were encouraged to take on social responsibility. The combination of museum and theater revealed new dimensions of the transmission of culture and history. How does a coffeepot make conversation? What does a lemon think about in the kitchen? What does the stroll of a matchbox look like? Where does an egg get the courage to jump into the pan? We will deal with these and more questions as well as the answers. Playfully, we want to discover and understand the materials, learn more about the objects. The workshop will be an introduction into the play and the animation of objects—which is fundamental for the art form of object and puppet theater. We want to find ways to become active on stage, to extend the creative space, and to adapt elements of object theater to classic drama theater. It will be an absurd experiment. Dozent: Tobias Eisenkrämer studies puppet theater at the drama school “Ernst Busch” in Berlin. There has been a murder—a murder like as it has never happened before. Commissar Moriarty and his associate Sweeney accept the challenge and immerse into the shadows of their world. There, they have to deal with adversaries who cause the boundaries to madness become blurred. Soon, they are facing the question how to catch the Lord of the shadows&emdash;how to catch the phantom. Phantom ist StuThe’s answer to Halloween, A Nightmare on Elmstreet, Jack the Ripper, and Mullholland Drive wrapped into one. Phantom is horror theater. 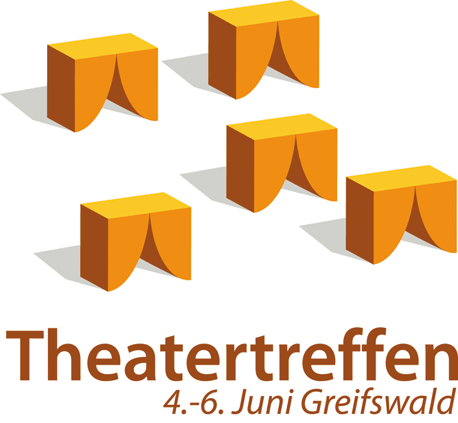 From today until Sunday, 14 theater groups from Greifswald and the region Western Pomerania will gather for the first /Greifswald//Theater meeting 2010/. This gathering is interesting for theater groups at schools and with other backgrounds because there are many theater projects in Greifswald, Stralsund, Anklam, and their vicinity that are organized by schools, in free groups, associations, or youth clubs. 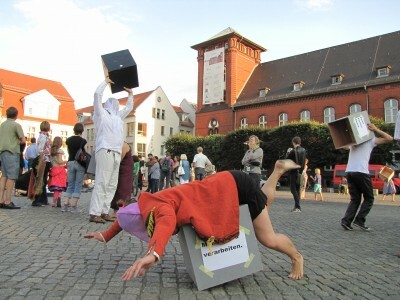 All groups—no matter how they are organized—are invited to perform together on different stages in the center of Greifswald for a whole weekend! The gathering has been organized by the Students’ Theater (StuThe) in cooperation with Barbara Gottwald, who is in charge of pedagogic projects at the Theater Vorpommern. 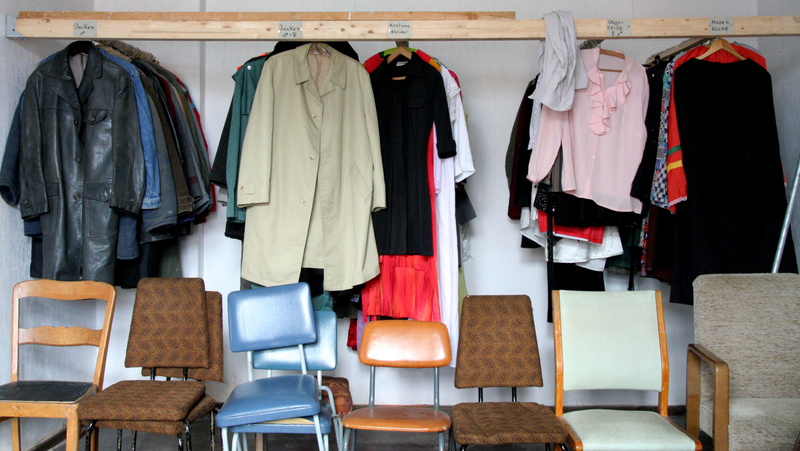 The opening will be today at 3:30 PM, in the auditorium of the Arndtschule. 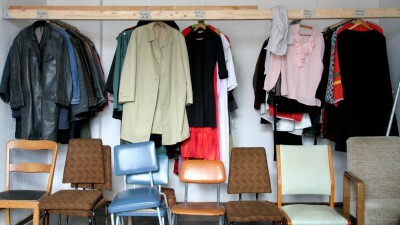 After the opening ceremony, there will be the premiere of the play “Pantalones wedding”. Georg Meier, a member of StuThe for many years, has practiced for six months with fifth-grade students for this performance. At 6 PM, the theater group Hohenwieder from Grimmen will perform Knut Spelerink at the new city hall. 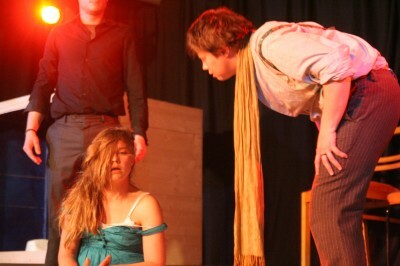 This will be followed by another performance of Finland or Nora’s day in Greifswald’s theater. 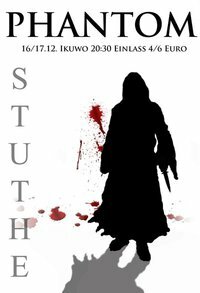 The complete program is available under www.stuthe.de. On Saturday, there will be workshops for children and youths on the premises of the Arndtschule where they will get inspirations for further theater activities. After all, this gathering is meant to be the beginning of a long-term networking of existing theater structures and groups. Everybody from Greifswald interested in theater is invited to come to the four stages and watch the young generation making big theater! Tickets are available at the box offices. 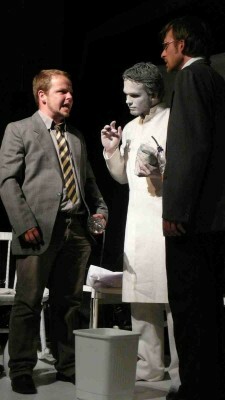 A play about liquids by two big enterprises and excrescent irritations in the interpersonal domain. Some of the characters: patriotic crooks, underground scientists as well as poor, rich and extremely rich people. The Stories from the Murkelei are wonderful stories that Hans Fallada has written for his own kids, which he lovingly called the “Murkels”: they are diverting, entertaining, and very amusing! Since Christmas 2008, we have been playing the wonderful stories Hans Fallada once wrote for his own “Murkels” in the house he was born in at Steinstr. 59, Greifswald. All young and old members of the audience are feeling amused and entertained and want to see ever more. Well, just come and have a lot of fun with us! 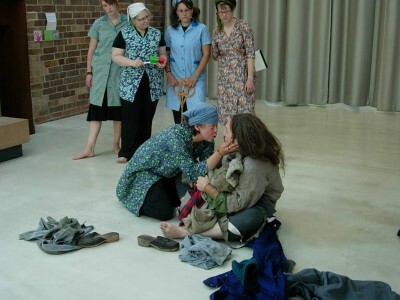 The Students’ Theatre will show “Mäuseken Wackelohr” (Little Mouse Waggle-ear), the accident-prone chicken, the dear little brother, the story about the little story, and the inverted day. Remembering means to reassemble events. The things that are remembered are interwoven with reality. We see the intimate history—or, rather, parts of the whole that switch back and forth—of a love. Two people meet by coincidence and harry each other in a most brutal way in order to find an answer to the questions of the big sentiments—looking for a secret, the final proof. They hustle through the times, rearrange the moments, and are thus in perpetual motion. Front soldier Zapo gets a surprise visit by his parents who invite him to a picnic in the field. What for him is the battlefield seems to mean just a green field to his parents, however. Our group has been working for several months at this adaptation of Arrabal’s play to our stage which we will probably present later this term. We are looking forward to your support and interest in our work. Please contact Franz Borgwald <togetherhold@hotmail.com>. Flicker trip takes you on a surreal journey between idealism and commerce, visionariness and pragmatism. In partly serious, partly comic episodes, the play tells of a world that has left its habitual orbit and is now staggering through a vacuum. In a secluded villa somewhere in Central Germany, several top managers and executives are meeting at a secret conference. Directed by Dr. Leonhard, they plan the project “Vineta”, a new metropolis on an island drawn up from scratch, a service paradise designed according to the most modern concepts. The pet project of Dr. Leonhard, however, is a collection of anachronistic monuments which he intends to combine in a theme park of lost dreams. With the first cargo ships already on their way to the island, Leonhard—obviously ridden by doubt—brings in star architect Sebastian Färber who immediately defeats the concept generally agreed upon. He replaces the purposeful megalomania with an Edenic anti-modernity; the structures he designs are modelled on ancient ideals and are meant to restore a feeling of security and harmony in the people. Deep ideological rifts open up and initiate an unscrupulous struggle for power. This is just the first link in a chain of tragicomic events. “Since Dürrenmatt, there has been nobody who has captured farce as truth and truth as farce as effectively as Rinke”, so the verdict of the Frankfurter Rundschau. 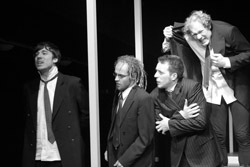 “A wonderful comedy set against a dead serious background”, is the opinion of the professional interest magazine Theater der Zeit.